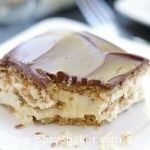 This no-bake Chocolate Eclair Dessert is a long-time family favorite recipe that is scrumptious and just melts in your mouth. Perfect dessert for those hot summer days or anytime time! When my husband and I started dating I was introduced to some pretty amazing desserts that his family had been enjoying for years. 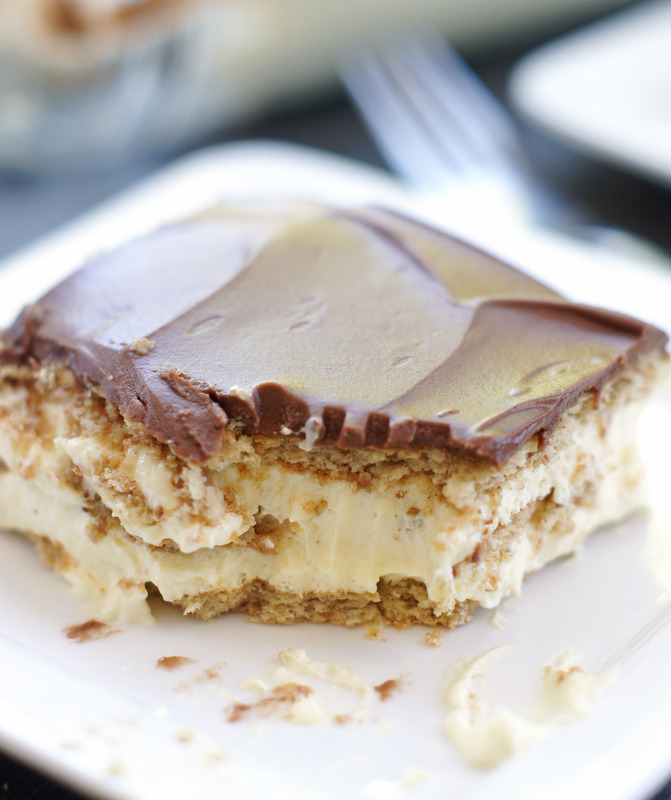 This Chocolate Eclair Dessert is probably in my top 3 of those desserts. I fell completely in love with this and started making it for my family dinners/parties and it instantly became a favorite of theirs too. 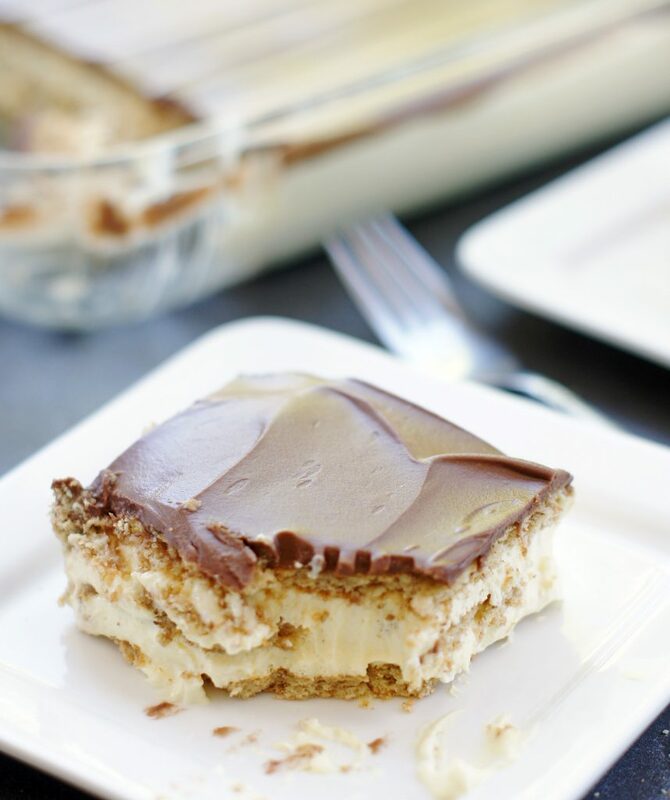 Now I don’t know about you, but during the hot summer days (like today when it’s supposed to hit 100 degrees), the thought of turning on my oven and heating up the kitchen just doesn’t fly with me, which is why I love no-bake desserts like this. This stuff is sooo good! Like want to do a faceplant into the whole pan good. It’s a breeze to make and comes together in about 15 minutes. Now it does have to be made the night before, so definitely make sure you plan ahead. The longer it sits in the fridge the better, because the graham cracker layers soften up and then just kinda melt in your mouth. I actually love making this for dessert for dinner parties because it has to be made the night before, one less thing to worry about, right? I shared a pumpkin version of this a while back, but have never shared the original recipe, so here it is. 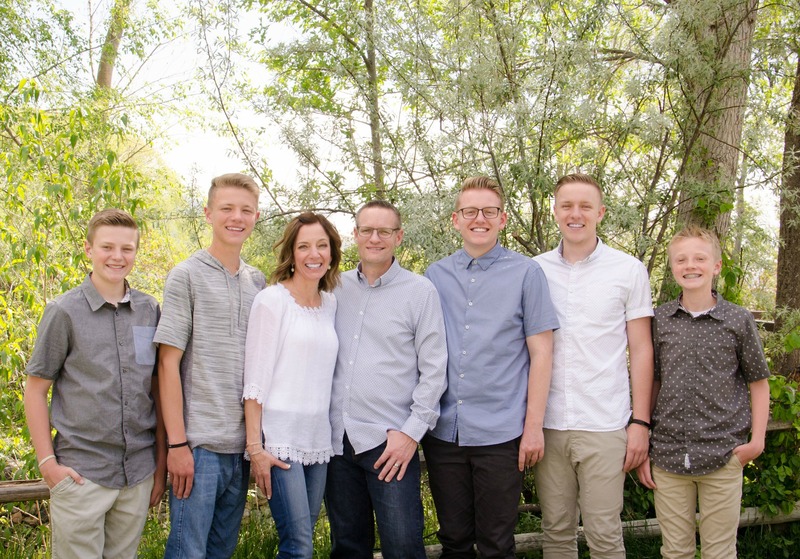 Also, you may have already pinned and/or made a recipe for this seeing as how it’s all over Pinterest, buuut just in case you haven’t, here is my family’s version (I’ve tried others, and I’ve never loved them as much as I love ours). I know you’re going to love it! In a medium bowl, combine the pudding mixes and milk. Whisk until smooth and thickened. Fold in cool whip. Set aside. Layer the entire bottom of a 9x13 pan (glass or metal) with whole graham crackers, breaking some as necessary to fit. 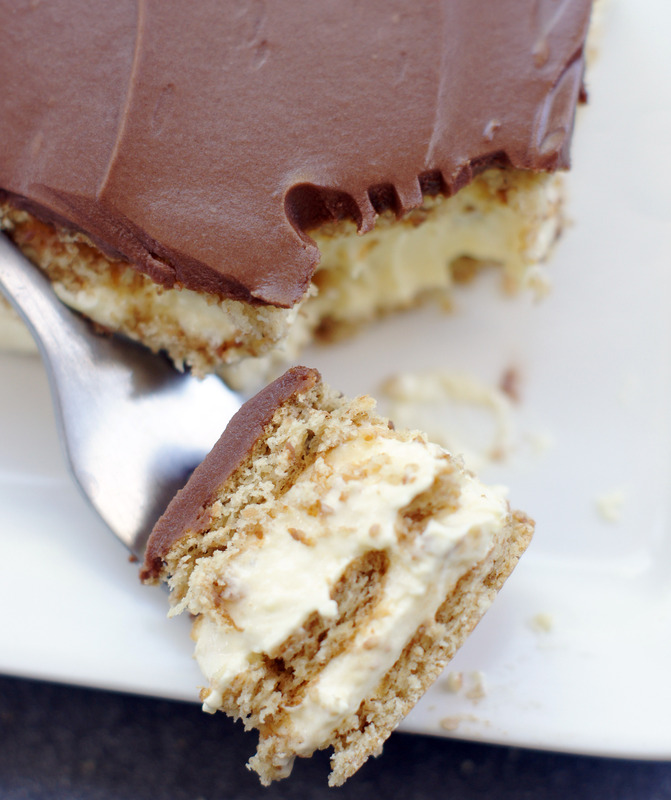 Pour half of the pudding mix over the layer of graham crackers and carefully spread. Place another layer of graham crackers on top of the pudding mix and then spread remaining pudding mix over graham crackers. Top off with one more layer of graham crackers. Set aside. GLAZE: In a small bowl combine the ingredients for the glaze. Mix until smooth. (You want this to be a thin frosting consistency). Carefully spread over top layer of graham crackers. Cover and refrigerate overnight. It would be more helpful if you indicated what “1 small box of graham crackers” meant in relationship to ounces. Your idea of one small box and mine is probably very different. Aside from that, thank you for the recipe. Sorry about that Sally, I clarified that a little better.